Must be 14+ to play the Live Escape Game. Players under 16 must be accompanied by an adult. 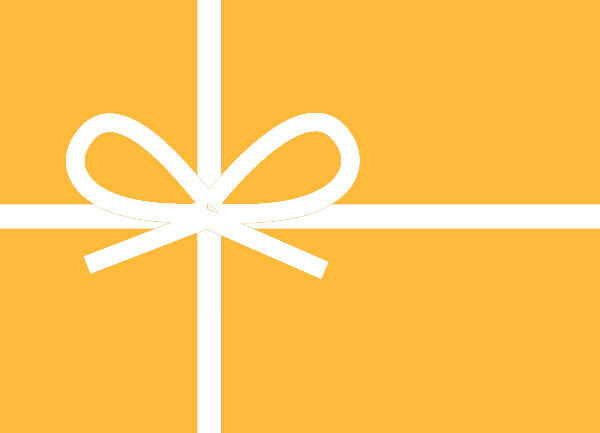 Be sure to select the Gift Certificate option on the Payment site and insert your code in the box. Using a gift certificate to pay for a booking is very easy. All you have to do is select the item as normal and fill out their booking details. When it comes time to pay, the payment screen will default to Credit Card. There will now be an option at the top of the screen for Gift Certificate. Clicking on this will display a pop-up window into which you can enter your Gift Certificate Code. This is the number beneath the barcode on your gift certificate PDF. Enter the code including the dashes into the Apply Gift Certificate window. 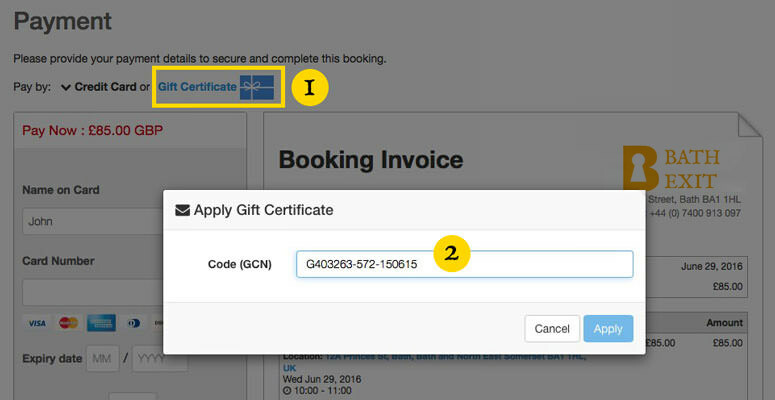 Click the Apply button to deduct the invoice total from the gift certificate balance. And that’s it, the booking is complete.